New Moon. New Year. Its Your Time to ReAwaken. I can feel it. Can you? That sparkle of a new beginning, a new day, a new opportunity to know and grow. I believe PASSIONATELY in the power of Touch to reawaken you to the wonders of YOU, giving you the knowledge of self through both reconnecting to YOU and rediscovering all of those fabulous bits and pieces that are YOU. It may not be as easy or pain free as it reads, but trust me-YOU are worth the investment! I want to assist you in this great journey. There is no better time than NOW to get started! From TODAY through February 2, 2015, purchase a package of 5 Massage Sessions and I will include 2 hours of Private Massage Instruction OR 2 hours of Private Meditation Instruction. 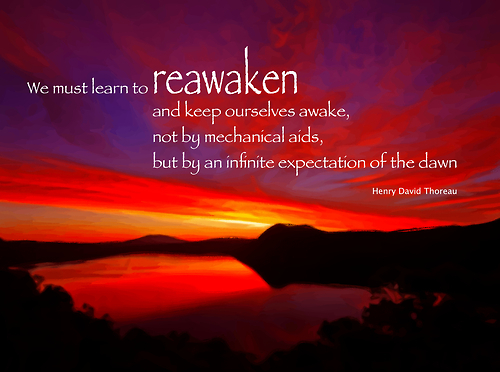 Lets make this year YOUR time to ReAwaken!